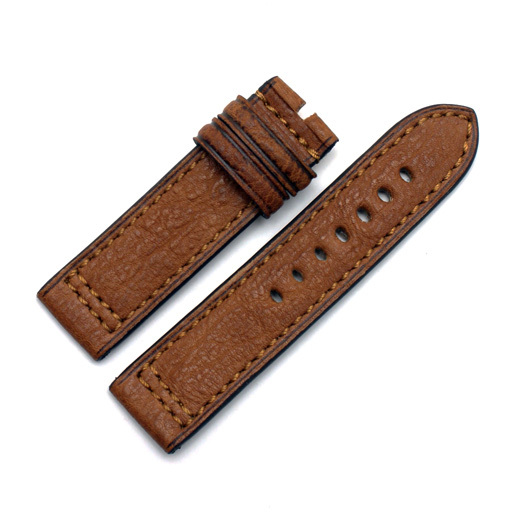 Finest Quality, hand made in Germany using a 172 step production process and with a keen attention to detail, this cognac brown watch strap is made of genuine vintage leather with matching stitching and extra thick padding. The lining is made from durable, anti-allergic calf leather in beige colour and the edges are coated with natural rubber. The thickness of the strap makes it a perfect match for larger chronographs and pilot watches. Please note: The patina (finish and colour) of vintage leather can vary significantly, meaning the leather is different from strap to strap and each is unique. 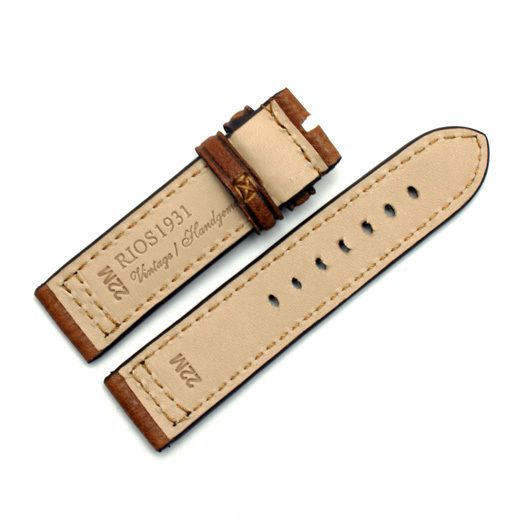 This is a feature of this strap type and means the pictures above should be seen as a general guide only. 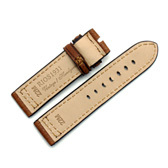 This strap will fit any watch were the distance between the lugs is 20mm, 22mm or 24mm (depending on the size you buy). Like all of our products, it is brand new and in stock in the UK, ready for our super fast shipping. Buckle: this strap does not come with a buckle. We have buckles here or you can use one that came with your watch assuming it is suitable.